New Sewing Pattern – Make Your Own Ita Bag! I’m thrilled to announce the launch of my fourth pattern, the Ita Bag PDF Pattern! 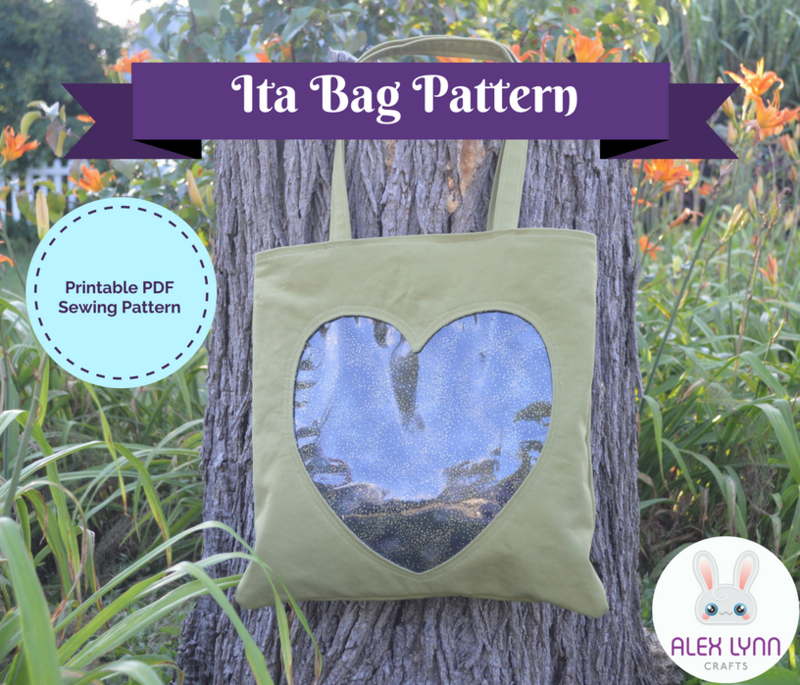 This pattern shows you step by step how to make a tote-style ita bag with a clear window pocket for displaying pins, keychains, and art. The pattern provides templates for a heart- or circle-shaped window, but the instructions would work for any shape. This bag also features interior zipper access to the display pocket so you have a clean outside with no visible zipper. There are also instructions for an interior patch pocket. 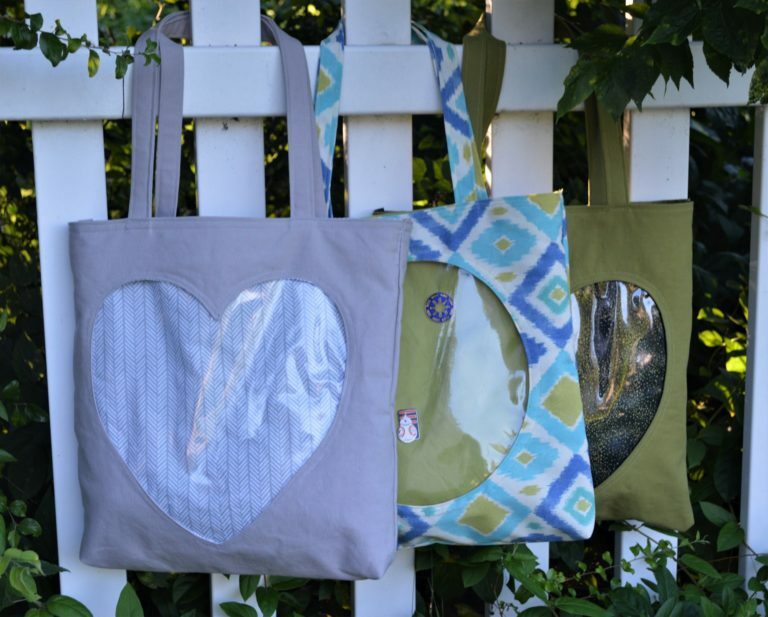 Make your own ita bag that perfectly coordinates with your fandom treasures! Check it out in my shop!